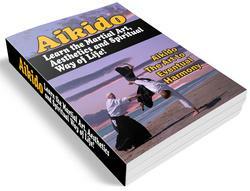 A tenkan is a "turning," a simple maneuver that is, in fact, one of the most powerful and devastating moves in Aikido. It is the Aikido version of "turning the other cheek." Balance and direction are extremely important and a common subject of ki testing. 1. Uke seizes nage's left wrist with the right hand. 2. 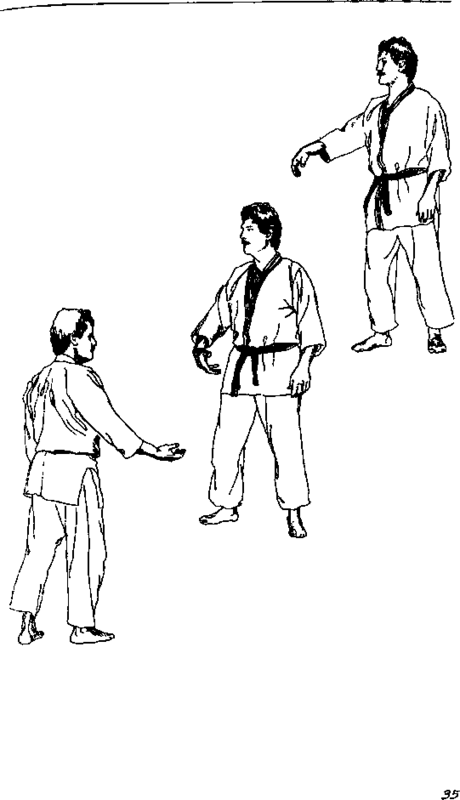 Nage curls lingers and wrist back towards palm, then steps or slides forward with the left foot, pivoting 180 degrees to end up approximately shoulder to shoulder with uke or slightly behind. Draw the left foot back as necessary. Left foot is still forward and right foot back (still in left hanmi). Turning every few steps while walking. Turning the other cheek is a form of moral ju-jitsu. In 1982, I gleefully demonstrated a karate technique for breaking a hold to and on my "Old Swordmaster" Ben Swett. He demonstrated tenkan. I couldn't see it, didn't understand what he had just done or what he was talking about. All he had done was turn around. So? 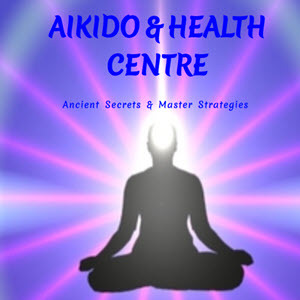 "I think," he said, "that you would enjoy Aikido." He was right.